Shipping and logistics might be your forte, but how much do you really know about your export packaging options? Choosing the correct packaging option will ensure that your consignment reaches its destination unscathed and in good time. And you know what that means? Greater profits and a professional business image. For all business owners, these are paramount concerns. 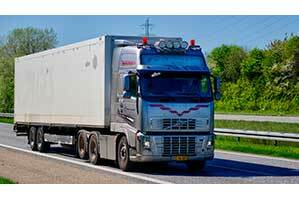 Current legislation governing the transport and logistics of your specific consignment type. Regardless of whether you use UPS, DX, DHL, FedEx, TNT, Palletways, ParcelForce, Royal Mail or another cheap parcel delivery firm to send your goods, it is important to select suitable packaging for your export. If you are transporting a liquid, powder, or items that must remain dry, drums are a possible option. Most shipping companies can arrange steel, continuous-cast carbon steel, and polyethylene drums. It's important not to confuse the two when it comes to determining the packaging strength of boxes and crates. To rely on the strength rating of a crate, all six sides must be secured in place. Boxes work differently. The rated strength refers to the total weight that the box can support without the top and sides. Shrink-wrapping can add stability and security to both of these options. If you are shipping a consignment of smaller cartons and boxes, you can keep them all together with pallets. Pallets are loaded with boxes and secured. The pallets can then be easily moved, loaded, or unloaded with a forklift. The pallets don't just keep boxes grouped together, but also protect the goods from damage during transportation. Don't go direct and save! You might think that approaching shipping and logistics companies directly will secure you the cheapest prices on shipping and packaging. It doesn't always work out that way. If you want to save on packaging and shipping costs with leading courier providers, get in touch with Parcel Broker. We can get you rates that are 40% to 60% cheaper. We can also provide you with helpful shipping and packaging advice. Ship or export your parcels with us and save!